Every morning on vacation should begin with Champagne. You need coffee, too, of course. But it’s the bubbles that set the tone for the day. They give you permission to stay relaxed and move slowly. There’s no rush when you have a flute in your hand. At Hotel De’ Ricci, they add Prosciutto di San Daniele, smoked salmon blinis, freshly baked focaccia, and strawberry compote to their Champagne breakfast. It’s delivered to your suite whatever time works for you. So yes, you’ll start your first day in Rome with Champagne, please. Rome has been your entrée to Italy many times. You’ve driven south to the Amalfi Coast, ridden the train north into Umbria, and flown to Sardinia and Sicily from the capital city. During each visit, you make a point to explore a new neighborhood. You stay at a different hotel, eat at new restaurants, and ask locals about their favorite wine bars. This time, you’re staying in Regola. Historic Regola sits on the left bank of the Tiber near Ponte and Parione. It was named for the soft sand that remained after the river flooded. It’s where the Trigarium, an equestrian training ground, stood during the Roman Empire. Former palaces, hospitals, and even a prison line the streets. Churches and embassies do, too. While antique shops, art galleries, and boutique hotels are now opening along Regola’s cobbled streets. Hotel De’ Ricci is one of the neighborhood’s newest arrivals. 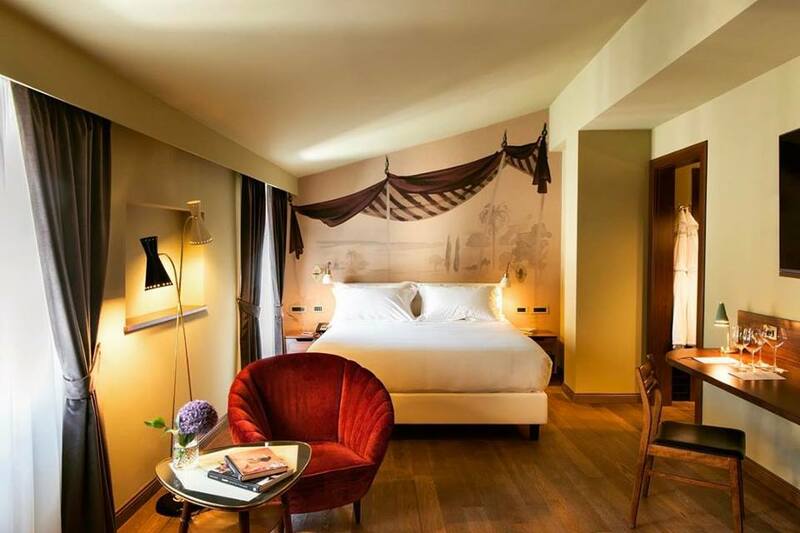 The boutique hotel just opened last spring on a quiet lane near Piazza De’ Ricci. It ticked all the right boxes for this trip. With only eight suites, it’s an intimate hotel. With hand-painted frescoes and mid-century furniture, it has a romantic vibe. 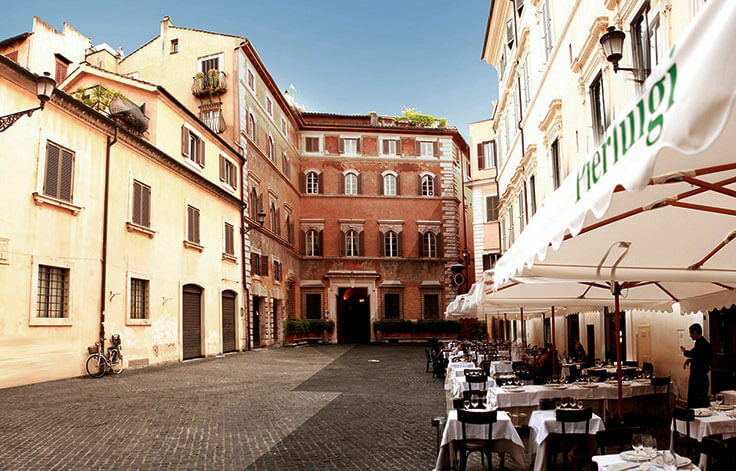 Leather accents, spacious bathrooms, and a glass elevator—still a rarity in Rome—keep it modern. But its focus on wine is what finally made you make a reservation. Your entire stay at Hotel De’ Ricci is built around a wine experience. Your wine preferences are requested with your booking. They’re used to stock your in-suite wine fridge before you arrive. The basement cellar’s shelves are overflowing with Italian and French bottles. Wine producers, who rarely open their vineyards to guests, hold tastings in the Charade Private Bar. Nibbles and pricey glasses, poured through a bottle-saving Coravin, are served the rest of the evening. Private wine tours can be arranged outside of the city. While light meals turn into long affairs with the addition of wines from around the country. You discovered that first thing this morning, though.